Beautiful stone cottage, with nice and comfortable decor. The holiday home, among other things, is equipped with a private garden. 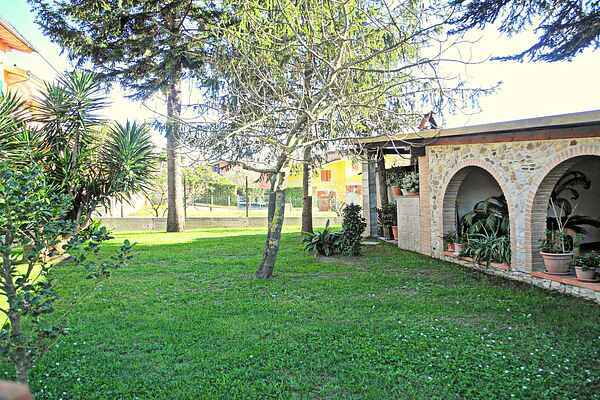 This holiday accommodation is situated in a quiet residential area in the village "Pian di Mommio". The center of the village is easy to reach; shops, restaurants, public transport and other facilities are present. At short distance from the nice (sandy) beaches of Versilia (Lido di Camaiore, Viareggio, Forte dei Marmi ...) A good solution for a relaxing holiday but also to go to sea in Tuscany. The homeowner wishes that dogs do their necessities outside his property (so not in the garden). There are certain areas which are more suitable for the dogs necessities. If it happens that the dog does his necessities in the garden, please be so kind to remove it and throw it away in the bins that are provided. Spending a holiday in Camaiore means being able to take advantage of every hobby. If you are a lover of nature and suggestive scenery, we would certainly recommend Candalla. It is located right on the Rio Lombricese valley. A very special place, rare and fascinating, from the name of "Environmental tourism itinerary Opifici del Lombricese". Famous are its beautiful, small waterfalls. We find the most suggestive next to the old mill. Walking on the path, the visitor will have the opportunity not only to immerse himself in a splendid nature, but above all to admire ruins and ruins of those who were laboratories (factories, mills, mills, pasta factories, powders) of the past, born on the river to exploit the energy (the oldest ones date back to the fifteenth century). For lovers of tracking, mountain biking or walking many paths that also leave from the vicinity of the house. Reaching the sea is a habit for the inhabitants of the place, especially for the mothers who accompany their children. The beaches are in fact about 15 - 20 km and can be reached in 30 minutes. To save time it is advisable to avoid traffic hours from 7.30 to 8.30, from 12 to 13 and in particular in the evening from 18 to 19.30. Continuing towards Torre del Lago, Marina di Levante and Marina di Pisa the stretches of free beach are even more substantial. And many other wonders to discover !! Finally the famous town of Lucca, surrounded by impressive Roman walls and beautiful to see at any time of year, as well as being rich in history, culture, cuisine and shopping, becomes the end of October each year, theater of the famous Comics and Games, international cartoon festival, animation cinema, illustration and game. An event now of global appeal that in those days transforms Lucca into an incessant procession of masks, colors, music and lots of fun.